Ahmed Thabet. Some of his latest projects. I have a lot of series but my series to ( Seri Wawasan bridge in Putrajaya city in Malaysia ) which I named it ( Heart of steel ) due to my abstract approach which focused in all shots on the heart of the structure, is the closest to my heart. I did it over 2 years in 2 different visits to Malaysia, on the first visit I came across the bridge by accident, i was stunned by it is futuristic asymmetric cable-stayed design, the lines and shapes were magic, I grabbed my camera, started to shoot euphorically, I got so many shots all of then were snap-shots but the most upsetting thing which might happen to photographer had happened to me, i did not take few steps more to cross the road and photograph the most sophisticated and beautiful part of the bridge, I was very upset, but i have decided to go back all the way to finish the job next year, I did it, I took long exposure as well, I was very calm and focused with very sharp vision which based on my medical background as well ( It looks like human anatomy), by this way this is the series which has won the first place in the International photographer of the year 2017 in architecture-bridges. And the one I named DNA has won the second place, abstract category in the international monochrome award. The second series I focused on London city bridges architecture, I captured three of them, ( London bridge, tower bridge, and millennium bridge) all of them very long exposure, and I processed them as a black and white version to make the scenes as serene as possible. Here are some questions from the interview he gave us for Shades of Grey Magazine N°6. 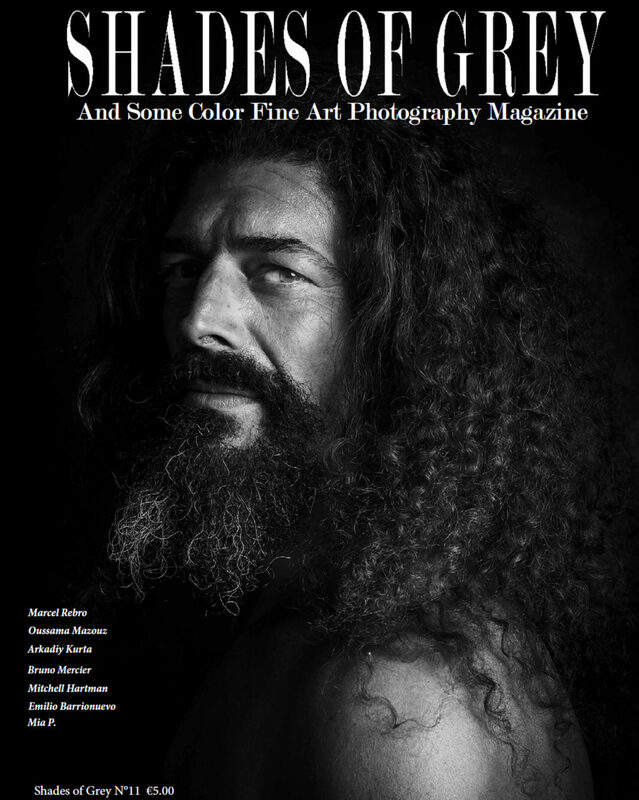 Get the magazine to read the full interview and watch a 24 pages portfolio. How and when did you start photography?How and when did you start photography? It is a very interesting story. I started 4 years ago, my profession is doctor and my specialty is neonatology; one of the most stressful specialty in medicine.5 years ago i complained to one of my senior colleagues about this kind of sedentary life which we had been through since graduation from medical school, which really ruined our pleasure and spoils our social life, then he gave me the most valuable piece of advice i had ever got … photography.I bought my first DSLR. It was a Nikon D3200 and I started shooting everything, holding it in my hand everywhere, even in the hospital, then one of the best parts of my life started. What led you to architecture and cityscape photography? I was born in Cairo, one of the densest populated city around the world. So my love of urban exploration and architecture either modern or ancient started from the very beginning, long before photography. One year after I started photography, I discovered the work of Joel Tjintjelaar and Julia Anna Gospodarou, I read their book “From basics to fine art” which I always would like to name “the holy book of black and white photography». It was a turning point to me, honestly i had my own vision but they added to me the art of black and white. How do you select your location? I first look at google maps to examine the places and single out the best vintage points. It really saves a lot of time. Secondly, I do one visit without the camera, walk around checking the streets, street lights, traffic lights, interesting angles, beautiful buildings, even pipes and ventilations sometimes really would help. I am always looking for abstract views and some kind of minimalism. First, I check the weather forecast it is very crucial. Second, I am looking for the best lighting condition, it is most of the time the golden hour and overcast winter time with gentle diffused light.Then, I check the opening times of the buildings and verify of any permission needed. What kind of equipment’s you use ?